Oldin of the Guild Dwarves has called for aid, and his brethren have answered! The headstrong champion Grungor has arrived. He is always eager to rush into battle, and he has brought with him the priest Tordok who uses defensive runes to protect his fellow Dwarves. Joining them is the vicious fighter Halvor, who would gladly sacrifice himself to land a killing blow on an enemy soldier. These mighty champions are followed by the stoutest of Dwarf warriors known as Guardsmen, whose armor lets them shrug off blows that would fell ordinary folk. And the Dwarves have not stopped there - joining the fray are ancient siege weapons. Dwarven Ballistas are stronger than those employed by other folk - they fire bolts that can punch straight through solid stone! But the Cave Goblin Sneeks has not been idle. 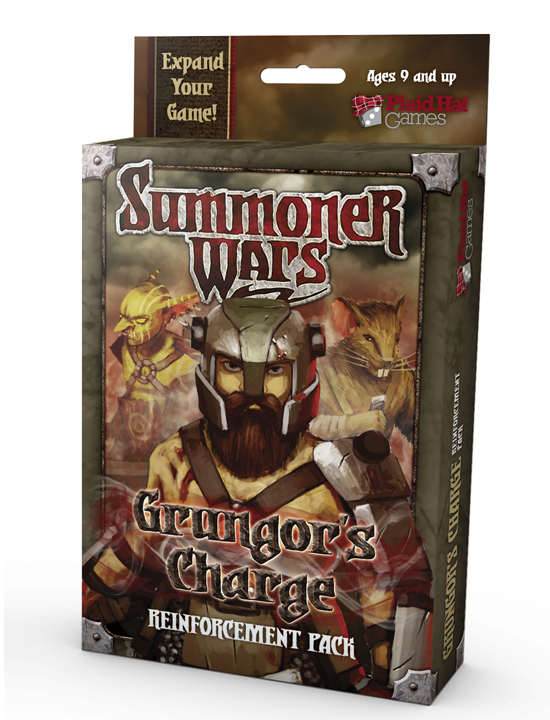 He too has drafted new troops to his cause including the opportunistic champions Reeker and Krag, and the frighteningly strange shaman known as Scagg. Strange cries fill the air as Beast Riders swarm from their mountain dens. These Goblins ride strange creatures into battle, quickly overrunning the enemy. Goblin Climbers appear at the highest mountain ridges, firing their bows as they advance. These warriors care little for fortifications, scaling the strongest of walls with ease. And as the Dwarves and Goblins prepare to escalate their ancient war, even stranger warriors appear on the field of battle! The mercenary champion Malevolence offers her magic blade to the highest bidder, and the plague-ridden Vermin will fight for any army that will brave their diseased presence.